Texas Attorney General Ken Paxton and officials from nine other states on Thursday urged the Trump administration to end a program that’s allowed hundreds of thousands of undocumented immigrants to work in the country without fear of being deported. The Trump administration officially rescinded that policy earlier this month but said that DACA and some expanded DACA permits would remain in effect. Paxton argued in Thursday's letter that that’s not good enough and warned that if the 2012 program isn’t rescinded, he and the other plaintiffs from the 2014 lawsuit would go back to court to settle the issue. 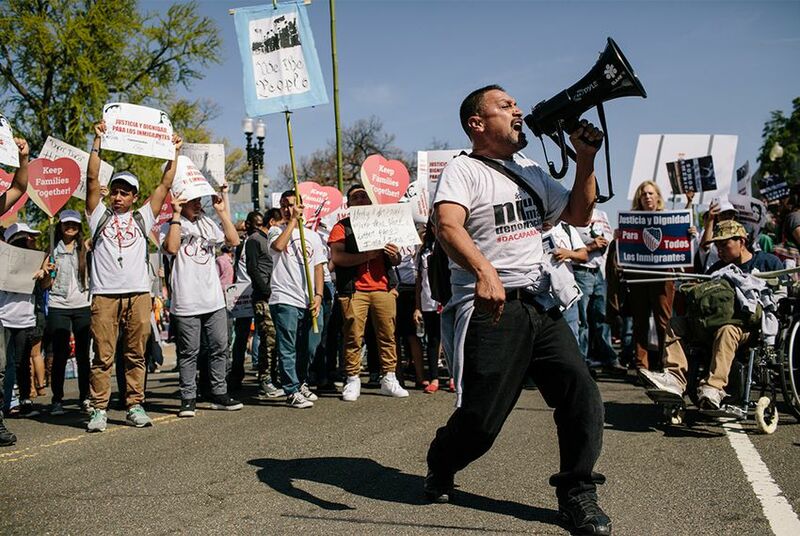 The Mexican American Legal Defense and Educational Fund, or MALDEF, blasted the move and warned the signatories they'll be remembered for being on the wrong side of history. "Their evident xenophobia is not remotely consistent with the trajectory of our nation's history and future progress," MALDEF president and general counsel Thomas Saenz said in a statement. "Their political careers and each of their states will suffer from their mean-spirited stupidity."